Antonio Conte’s men will be looking to bounce back from a string of draws both in premier league and other cup competitions as they take on Brighton & Hove Albion in the premier league this Saturday, 20th January 2018 at the Falmer Stadium in Brighton. Having gone on to record 5 back to back draws, Antonio Conte is under massive pressure and if results won’t change soon he might be shown the door before Champions League resume. 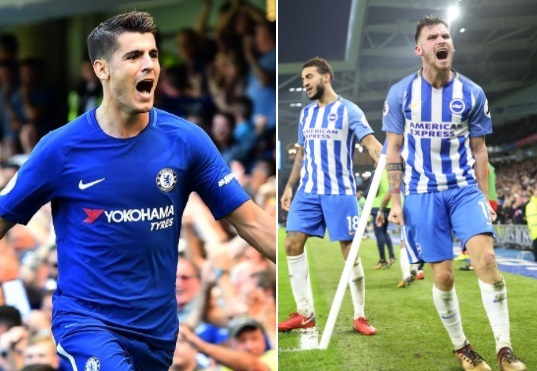 Chelsea’s game against Brighton & Hove Albion starts at around 12:30 uk time and we will have match highlights just in case you missed the live action. Team News & Lineups: Chelsea drew 0-0 at Goddison park over the last weekend and they will be looking to bounce back with an emphatic performance which will put them level on points with Manchester United and take them further away from the chasing pack for top four race. Brighton on the other hand have made a absolute top notch start to the premier league having accumulated 21 points so far in the season. However, they have only won 2 of the first 9 away games and if they can start to pick up points regularly on their away trips they can mount a real challenge to finish in top half of the table. Antonio Conte will welcome back top scorer, Alvaro Morata in the starting lineup who missed last Saturday’s game against Everton. He will spearhead the attack with Hazard and Willian playing in attacking roles ahead of midfield trio of Fabregas, Kante and Bakayoko. 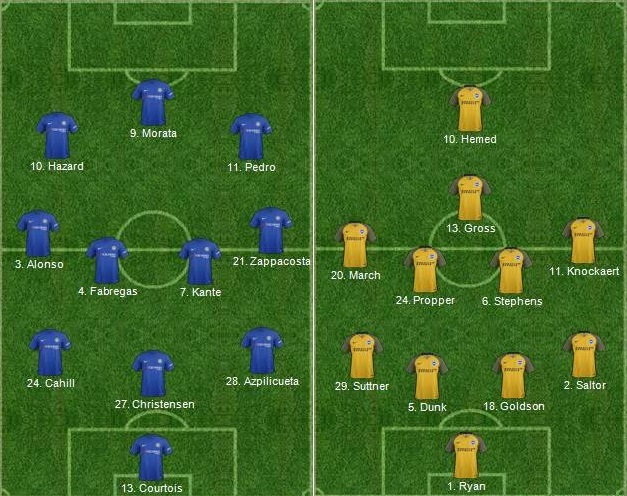 This is how I expect both teams to lineup on Tuesday afternoon. Match Predictions: Chelsea have won 8 of the last 11 league games which puts them in a good position after a slow start to the season. How they still trail Manchester City by 16 points and we can safely say they are out of the title race. However, in terms of top four finish they are well placed going into the second half of the season. I expect it to be a tight game but Chelsea playing at home have too much about them to not win this one. I am going with a comfortable 2-1 win for Chelsea in this one.